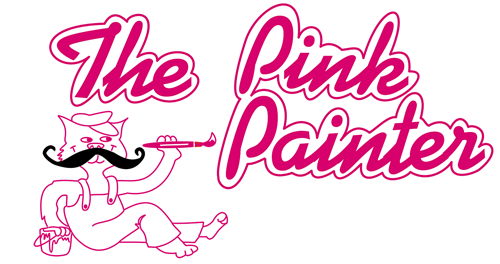 “Bill Suplee and his crew at The Pink Painter have been painting for me for about 25 years. Bill is the nicest, most honest, and kind guy. I leave them alone in my house, they are so trustworthy. They do what they say they are going to do. They show up on time. Bill really tries to satisfy you. I would recommend them to anyone. I don’t look around for competing bids anymore. When you are lucky enough to find someone like this, with whom you are comfortable in your home, you stick with them. If he is busy, I wait for him! Thank heavens for The Pink Painter! From the moment I called to ask for an estimate to the moment I waved goodbye to Bill after the job was completed, dealing with The Pink Painter was a refreshing joy. I received a fair estimate the same day. You worked with me to schedule the project around my needs. My phone calls were always returned promptly and cheerfully. Insurance certifications were provided promptly when requested. And once the job began, my sense that I had found the best painters in southern California were confirmed. “Their work is meticulous and very professional and the highest quality – the color matching is fantastic, they have done special effects for us (they painted clouds on my daughter’s walls to match wallpaper that we put on the ceiling), they have custom-mixed wood stains that are beautiful. Bill has made great suggestions for color selection and other effects. They go the extra mile to make everything right, and think of things I never considered – they paint the light fixture casings to match the ceiling, they take the cabinet doors off to remove the hinges before painting, and polish the hinges before replacing them, they seal every crack. Everything is cleaned up beautifully – when they are done, you don’t know they have been there. There are no drips of paint, when they paint window frames there is nothing on the glass – again, very meticulous. Bill gives a very fair price, he is always on budget and they are always on time. “Thank you for the wonderful job your crew did on our family room, kitchen, stairway and downstairs bathroom. Denise and I come home every night and enjoy not only these rooms but the rest of the downstairs that you did last year. We are the envy of the neighborhood. Thanks again.